OCT. 31 UPDATE: Bartender Gregory Schutt pulled off an upset victory on Oct. 30 in the regional finals of the Chairman’s Reserve Mai Tai Challenge, edging several fellow Floridians and seasoned competitors from cocktail hotbeds New Orleans and Chicago to earn a trip to the finals in St. Lucia in 2019. Schutt’s winning drink was an outside-the-box Mai Tai featuring two Chairman’s Reserve rums plus peanut butter orgeat, banana liqueur and homemade marshmallow fluff. The rich and decadent drink wowed the judges, including noted Tiki cocktail guru Jeff “Beachbum” Berry and Chairman’s Reserve brand owner Benjamin Jones. Schutt, who tends bar at Crush XI in Melbourne and The Fat Snook in Cocoa Beach, edged runner-up Aiden Dillon of Three Dots and a Dash in Chicago. The third place finisher was another Floridian, Sam Wiener of Lost Boy Dry Goods and The Bend Liquor Lounge in Miami. The 12 bartenders took the stage at the venerable Mai-Kai in Fort Lauderdale for the 3-hour competition, presenting wildly creative as well as traditional takes on the iconic Mai Tai. They were graded on presentation, creativity, taste and balance, story and theatrical presentation, plus the use of Chairman’s Reserve rums. 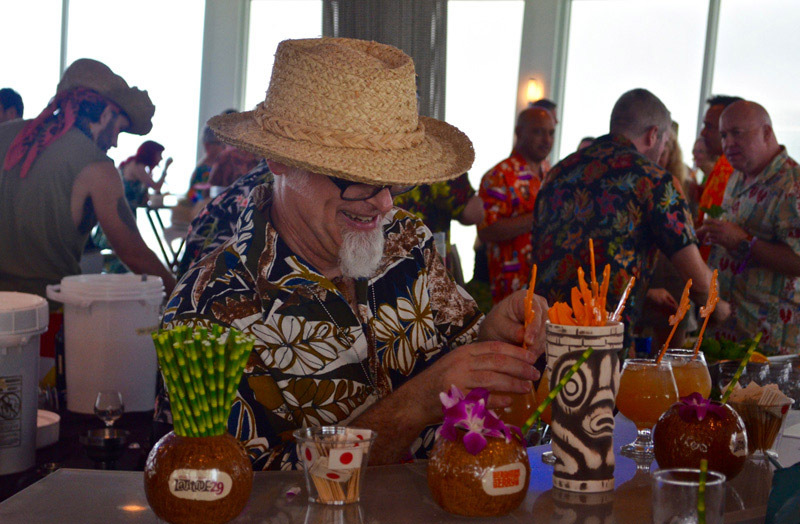 Following the contest, the competitors, guests and VIPs joined the happy hour crowd in The Molokai bar to celebrate the first of several Chairman’s Reserve Mai Tai Challenge regional contests in the United States. Upcoming competitions include Nov. 12 in Toronto and Dec. 10 in Los Angeles. North American winners will join others from around the world in St. Lucia for the second annual global finals in 2019. OCT. 30 UPDATE: Bartenders from across the eastern half of the United States faced off today in the regional finals of the second annual Chairman’s Reserve Mai Tai Challenge at The Mai-Kai in Fort Lauderdale. The 12 competitors came from four states, from Illinois to Florida, for the chance to move on to the global finals in St. Lucia, the home of Chairman’s Reserve Rum. Originally, there were 14 in the competition but two dropped out. Ethan Lane from Atlanta pulled out due to personal reasons, and James O’Donnell from New Orleans was a last-minute scratch. * Jeff “Beachbum” Berry, author and owner of Latitude 29 in New Orleans. * Staci Town, Florida state business manager, Breakthru Beverage. * Jim “Hurricane” Hayward, journalist, Tiki lover, and curator of The Atomic Grog. * Benjamin Jones, North American managing director of Spiribam, which controls the Chairman’s Reserve brand. I’m certainly honored to be participating and joining such prestigious company. The general public is invited to join us at 4:30 after the winner is announced for an after-party in The Molokai lounge. I hope to see you there. 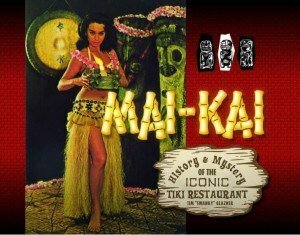 The event will mark the return to The Mai-Kai of Beachbum Berry, the noted Tiki cocktail archaeologist, for the first time since The Hukilau 2016. In a recent email, the Bum noted that he’s definitely been “going through withdrawals.” He added: “The Mai-Kai is my happy place, and one of the great wonders of the world. To hold this competition there is beyond cool!” Berry will be judging the Mai Tai competition for Chairman’s Reserve all the way through the finals in St. Lucia in 2019. This will be the brand’s first event at The Mai-Kai. 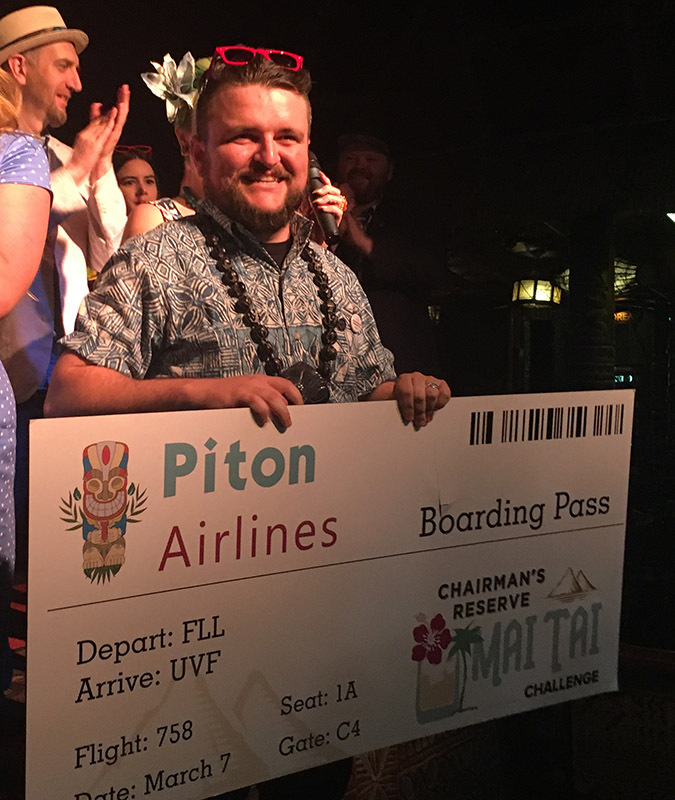 “I couldn’t be more excited to be kicking off the 2019 Chairman’s Mai Tai Challenge at such an iconic institution as The Mai-Kai and look forward to seeing what creative concoctions the bartenders will come up with,” Bryan said. Florida and New Orleans made a fine showing with five bartenders each, followed by Chicago with two. Atlanta and Washington fill out the coastal-heavy lineup. The deadline is fast approaching to enter one of the world’s most ambitious and fun-filled international competitions, the second annual Chairman’s Reserve Mai Tai Challenge. One winner from next month’s Fort Lauderdale regional contest will join bartenders from 10 countries in the finals in St. Lucia in 2019. See below: 2017 Mai Tai Challenge recap | St. Lucia rums | What’s a Mai Tai? Cocktail recipes and photos must be submitted online via the Chairman’s Reserve website by Monday, Sept. 24, to be eligible for the regional competition to be held at The Mai-Kai in Fort Lauderdale on Tuesday, Oct. 30. At the Oct. 30 special event, 12 finalists will recreate their Mai Tai variations for a panel of judges including Tiki cocktail historian, author and barkeep Jeff “Beachbum” Berry. Details will be announced soon, but The Mai-Kai promises “an incredible after-party” starting at 4:30 p.m., right after the conclusion of the competition, which will be limited to industry and special guests. The after-party in The Molokai lounge will be free and open to the public. A Chairman’s Reserve rum or rums are required to be the showcased spirit, but homemade ingredients are accepted. The exact definition of what constitutes a Mai Tai also seems to be fairly loose. Last year’s winning drink included Caribbean sherbet, ginger spice and passion fruit. More importantly, competitors are encouraged to have their cocktails tell a story. 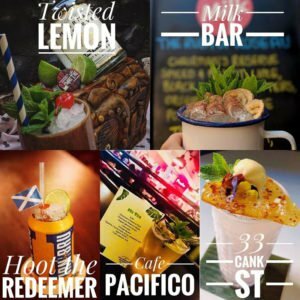 Those selected for the regional finals will be judged on the taste, creativity and presentation of the cocktail along with how they promote the drink both on social media and in their bar. Finalists for the Fort Lauderdale competition will be announced on Monday, Oct. 1. Bartenders outside of the Eastern Seaboard may want to consider entering the other upcoming regional competitions in Toronto (deadline: Nov. 12) and Los Angeles (deadline: Dec. 10). Competitions are ongoing across the globe. Working bartenders aged 21 and older from the United States, Canada, Spain, Portugal, the United Kingdom, Ireland, Italy, Greece, Switzerland and France are eligible. The fun really begins when the regional winners are selected. They’ll all be flown to exotic and enchanting Saint Lucia in March 2019 for the global finals. 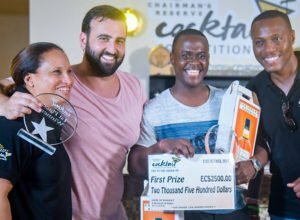 In a unique format, each competitor will be teamed up with a local Saint Lucian bartender to create a totally new cocktail using Chairman’s Reserve rums and locally sourced ingredients. While on the Eastern Caribbean island, they’ll visit St. Lucia Distillers and learn about the creation, aging and blending of Chairman’s Reserve. Also included are other “educational excursions” to learn about Saint Lucia’s rum heritage, plus a tropical cocktail workshop hosted by Beachbum Berry. 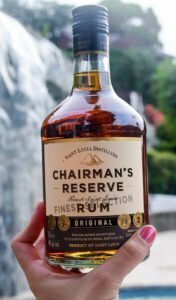 Chairman’s Reserve is St. Lucia’s premiere rum, a blend of column and pot distillates sourced from molasses imported from Guyana. The result is a distinctive suite of rums that combine the best of the traditional English styles (the funky Jamaican and lighter Barbados) along with the rich Demerara rums from neighboring Guyana. Chairman’s Reserve rums are known for their rich body and notes of chocolate, dried fruits, and brown spice. They’re blended and re-casked in ex-Bourbon barrels, which provide a slightly dry, smoky finish. The first Chairman’s Reserve Mai Tai Challenge culminated in the October 2017 finals at Capella Marigot Bay Resort and Marina in St. Lucia. 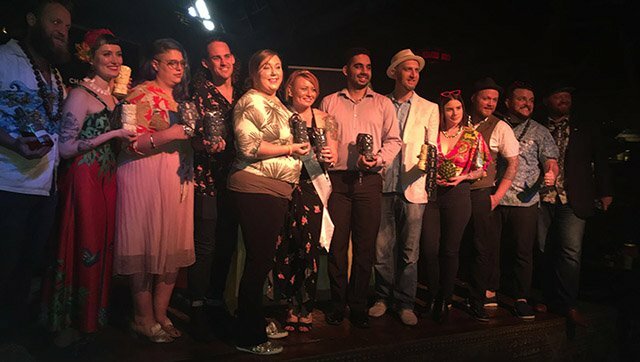 Ten bartenders representing the United States, the United Kingdom, Spain, France, Portugal and Sweden won their regional competitions to earn a trip that undoubtedly became a career highlight. The winners of the inaugural Chairman’s Reserve Mai Tai Challenge – Sweden’s Sharam Mohebbi (center left) and St. Lucia’s Stephen Peter (center right) – show off some of their prizes. The visiting bartenders were paired with brethren from St. Lucia to form two-person teams for the finale. It was a quick bonding experience as these professionals joined forces to shop for local ingredients, create an inventive new cocktail, then present it live in the bartender showdown. 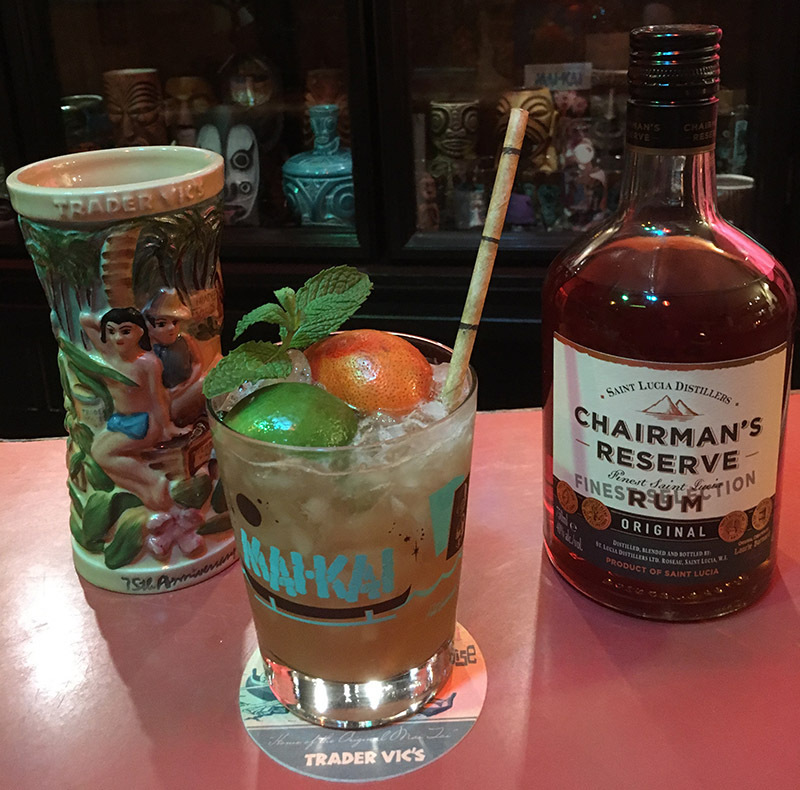 They were challenged to create a reimagined Mai Tai using Chairman’s Reserve rums and taking inspiration from their trip, which included tours of the distillery and local markets, plus a Tiki cocktail seminar by U.K. Tiki guru Georgi Radev (Mahiki, Laki Kane). Sweden’s Sharam Mohebbi and St. Lucia’s Stephen Peter emerged victorious with their Helen of Tiki cocktail. It featured Chairman’s Reserve Original and Chairman’s Reserve Spiced rums, Caribbean sherbet, ginger spice and passion fruit, plus fresh lime. The pair earned cash prizes, trophies and a trip for each. Mohebbi earned a return trip to St. Lucia, while Peter was offered a rare opportunity to visit Sweden. You can find the winning recipe here, along with a full recap of the finals from Drinks Enthusiast. The French and British battled over the picturesque, volcanic island beginning in the 1600s, with control changing hands 14 times until Britain stabilized the government in 1814. St. Lucia gained its independence in 1979, though it remains a “commonwealth realm” under the queen of England (similar to Australia, the Bahamas, Barbados, Canada, Jamaica, New Zealand, Papua New Guinea, et. al.). St. Lucia Distillers was established in 1972 after a merger of the Roseau and Dennery distilleries. Some 80 percent of the distillery’s rum is sold in St. Lucia, with Bounty being the big local brand. Chairman’s Reserve was first blended in 1999, and it has has been exported since 2008. In just 10 years, it has seen explosive growth to become the island’s flagship brand worldwide. * Chairman’s Reserve White – A premium blend of 3- to 4-year-old rums distilled in a combination of copper pot stills and a Coffey (column) still, then aged in American white oak casks. * Chairman’s Reserve Original – The brand’s first premium rum, desgined to represent the traditional St. Lucian style. It’s comprised of selected aged rums (both Coffey column stills and copper pot stills), aged separately by batch and type of still in ex-Bourbon barrels. It’s then blended and rested in oak vats for an additional six months. The average age of the blend is 5 years. 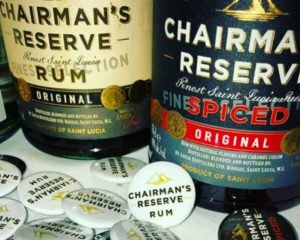 * Chairman’s Reserve Spiced – A blend of premium Coffey and pot still rums (essentially Chairman’s Reserve Original), aged and finished with local fruits and spices. * The Forgotten Casks of Chairman’s Reserve – A premium aged sipping rum (between 6 and 11 years) that emerged from a tragedy. An extensive fire hit the distillery in 2007, and in the confusion barrels were misplaced. Found years later, they became the base of this acclaimed, extra-aged Chairman’s Reserve. The distillery continues the same process, holding back select blends of Chairman’s Reserve Original for extra aging to create the limited release of the Chairman’s Forgotten Casks. * Chairman’s Reserve 1931 – A tribute to the Dennery distillery, which was established in 1931 and produced rum until 1972, when it merged with Roseau Distillery to become St. Lucia Distillers. This super premium rum is a blend of distillates from the Coffey still and three copper pot stills ranging from 7 to 12 years aged in Bourbon casks. What makes the rum distinctive is in addition to the traditional molasses rum, 10 percent of the blend is agricultural rum pot distilled from sugarcane grown around the distillery. 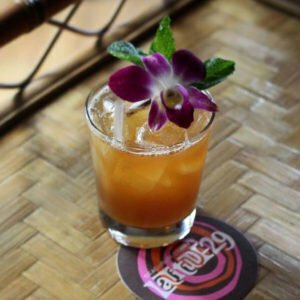 Rum’s most famous cocktail: What is a Mai Tai? You would think that’s a simple question, but it’s not. I like to break down Mai Tais into three categories (historically and chronologically): Traditional, Bastardized and Reimagined. Unfortunately, the latter two sometimes get lumped together, but there’s a very good reason. A traditional Mai Tai, as featured on BeachbumBerry.com and served at the Bum’s Latitude 29 in New Orleans. The recipe widely considered to be the original (created by Trader Vic in the 1940s) achieved iconic status in the mid-century, then virtually disappeared when Tiki fell from favor. However, it has made an astounding comeback over the past two decades thanks to the Tiki and craft cocktail revivals. Beachbum Berry revealed the classic Mai Tai’s storied history in his books, posing the theory that that perhaps Don the Beachcomber came up with the first version in the 1930s, even before Vic. It’s still open to debate, but Vic’s version has become the de facto standard. Unfortunately, the drink became so popular that “Mai Tai” became synonymous with any old tropical drink served with an umbrella. When Tiki cocktails devolved in the 1970s and ’80s, this usually meant the worst possible version of a “boat drink,” random juices and rums poured willy nilly into a plastic cup at dockside bars and tourist traps. Adding to the confusion, Hawaiian statehood led to an alternate version (aka the Hawaiian Mai Tai) that bears little resemblance to the original. Some of these are excellent drinks, however. The version served at The Mai-Kai, which borrows more heavily from Don the Beachcomber than Trader Vic, is a variation of the Hawaiian Mai Tai. Fast-forward to the 1990s and the dawn of the Tiki and craft cocktail revivals. Understandably, early adapters sought out the classics and eschewed anything approaching a bastardized recipe. For many years, enthusiasts didn’t take kindly to “changing up” the Mai Tai from Vic’s original, other than adjusting the rums. It was almost heresy. But more recently, the sheer explosion of craft mixology and high level of creativity has opened the floodgates. It’s now fair game to experiment with the Mai Tai, either by tweaking the old recipe or coming up with something totally unique. You can find this creativity on display at the Don the Beachcomber Mai Tai Festival in Hawaii, which just hosted its 10th anniversary cocktail competition in August. Beachbum Berry also served as a judge at that contest. Today’s bartenders, unburdened by the stigma of cocktail’s dark ages, are now free to experiment with the Mai Tai. 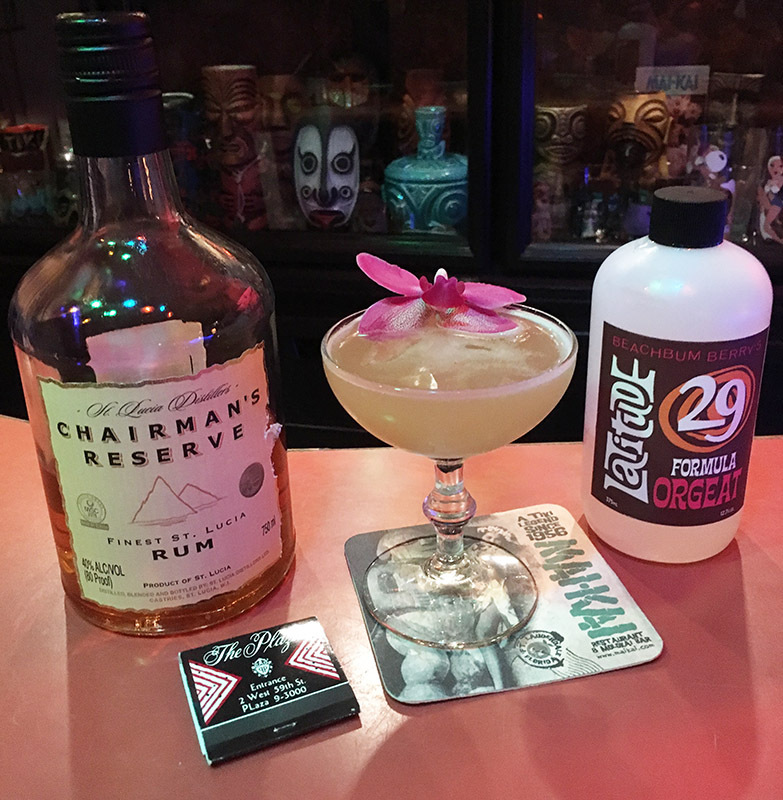 Enter the Chairman’s Reserve Mai Tai Challenge, which provides a platform for creative rum cocktails across the globe, some with only a tenuous link back to Trader Vic’s original. The rums are the key, of course, and Chairman’s Reserve offers some very appropriate choices. A traditional Jamaican rum is at the core of the classic recipe, and the St. Lucian rums very closely follow this style – especially the Original and Forgotten Casks blends. Inspired and challenged by this competition, I came with a few Mai Tai variations that fall into the reimagined category. I did, however, keep the Tiki purists in mind and didn’t veer too far from the traditional flavor profile. Okole maluna! Both cocktails below employ Chairman’s Reserve Original, the flagship rum of St. Lucia and a very fine addition to any Mai Tai. This blended, aged rum is medium-bodied with a full, rich flavor reminiscent of Jamaican rums. It’s bold and slightly smoky with hints of fruit and honey. The recipes don’t stray too far from the classic version but do include a few twists. I like to keep the unique flavor notes that make the Mai Tai special, including orgeat and orange. For another semi-traditional Mai Tai recipe with a twist, check out our Merchant’s Mai Tai. Pulse blend with 1 cup of crushed ice for 5-7 seconds. Pour unstrained into a double old-fashioned glass, adding more crushed ice to fill. Garnish with a mint sprig, plus the leftover lime and clementine shells. This is slightly sweeter and more citrusy than your typical Mai Tai, but there are enough sour and bitter notes to keep everything in balance. There are lots of refreshing flavors here to enjoy, along with a potent kick from the premium rums. The twist: Fresh clementine juice adds complexity and an extra citrus flavor to the mix. It plays a background role but seems to enhance the other ingredients. The inspiration came from rum expert and author Dave Broom, who extols the virtues of this distinctive juice in his latest book, Rum: The Manual. He recommends it as the perfect juice to mix with rum, particularly the aged variety. This small tangerine is a cross between the Mediterranean mandarin and sweet orange, so the general flavor is not out of place. But as Broom points out, it’s not as sweet as OJ and features “a tartness that nods toward grapefruit” plus acidity that opens up the rum. While not extremely common, the small fruit is typically sold by the bag in grocery stores and produce markets. Other ingredient notes: Damoiseau from Guadeloupe is a nice change of pace but still very similar to the traditional rhum agricoles from Martinique that are usually featured in the Mai Tai. Grand Marnier is another slight change from the usual orange curacao. It’s cognac-based, so it’s heavier and less dry. I kept a bit of Martinique flair in the recipe via the complex and distinctive Petite Canne, which is made from sugar cane grown on the island. A bold orgeat syrup is key in any Mai Tai, and this is no exception. Use your favorite. Finally, the orange bitters offsets the sweetness and helps balance all the flavors. In a shaker, muddle the mint with the lime juice. Add the other ingredients and shake hard, 10-15 seconds. Double strain into a cocktail coupe and garnish with an orchid. Sweeter and more complex than a standard Mai Tai with richer flavors and strong hints of mint and honey to mix things up. The premium rums combine with the traditional orgeat, curacao and lime backbone to remind you that this is still a Mai Tai. The twists: Served straight up in a cocktail glass, this is a more elegant Mai Tai to be sure. But it’s also less diluted and features some additional sweet elements, such as honey (instead of simple syrup) and fresh orange juice. Simply combine equal parts Florida Orange Blossom Honey with water and shake vigorously to make a syrup, storing in the fridge. We’re partial to all-natural Florida OJ (from the sweet Valencia orange). Instead of a traditonal mint garnish simply providing aromatics, we infused mint flavor into the cocktail via muddling, then straining out all traces of the leaves. Other ingredient notes: Rhum agricole is very traditional element, and Rhum JM is a particularly good one. Feel free to use your favorite VSOP from Martinique. Any quality orgeat will work, but try to find a fresh, rich and complex variety, such as the special formula created by Orgeat Works for Beachbum Berry’s Latitude 29 in New Orleans. To help balance the sweetness, we’ve kept the old Mai Tai standby, orange curacao. France’s Pierre Ferrand makes an intensely dry and flavorful version that’s a favorite of mixologists everywhere. Feel free to use 1/4 ounce if you seek a drier cocktail. This entry was posted in Cocktails, Culture, Events, Events, Events, History, Mai-Kai, Recipes, Restaurants, Rum, South Florida and tagged Atomic Mai Tai Cocktail, Beachbum Berry, Chairman's Reserve, Chairman's Reserve Mai Tai Challenge, Don The Beachcomber, Latitude 29, Mai Tai, Mai-Kai, Oh Mai Darling, orgeat, Orgeat Works, rum, St. Lucia, St. Lucia Distillers, The Hukilau, Trader Vic's. Bookmark the permalink.